Today, Jedi-Bibliothek uncovered an upcoming feature that Entertainment Weekly will be publishing next month. 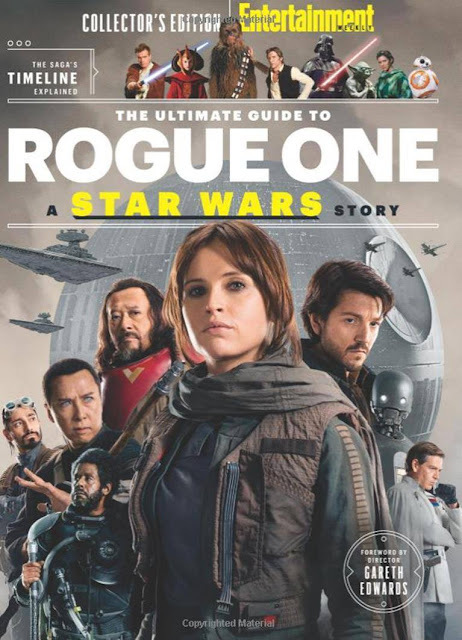 Titled "The Ultimate Guide To Rogue One: A Star Wars Story", the 96 page collector's edition magazine promises to treat fans to a plethora of new material from the film, including cast and crew interviews, character introductions and new photos. Also, the magazine will include a forward by director Gareth Edwards, along with a map of the Galaxy, and even more information on the characters, ships and creatures of Rogue One. In addition, the magazine will include an explanation of the saga's timeline, which will hopefully quell confusion among those who may still think Rogue One is a sequel to The Force Awakens. It's expected to be on newsstands on December 9th!